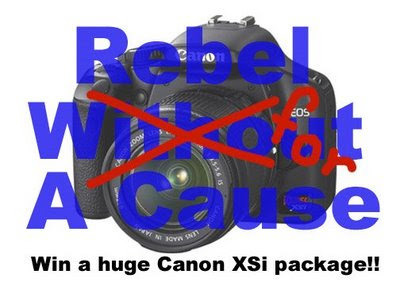 MckMama is giving away a Rebel (Cannon Xsi DSLR) for a Cause! For each $10 donation you get a chance at this awesome prize package! Not only is it a camera, lens, bag...and tons more it's all for a good cause too! For more info. click here.